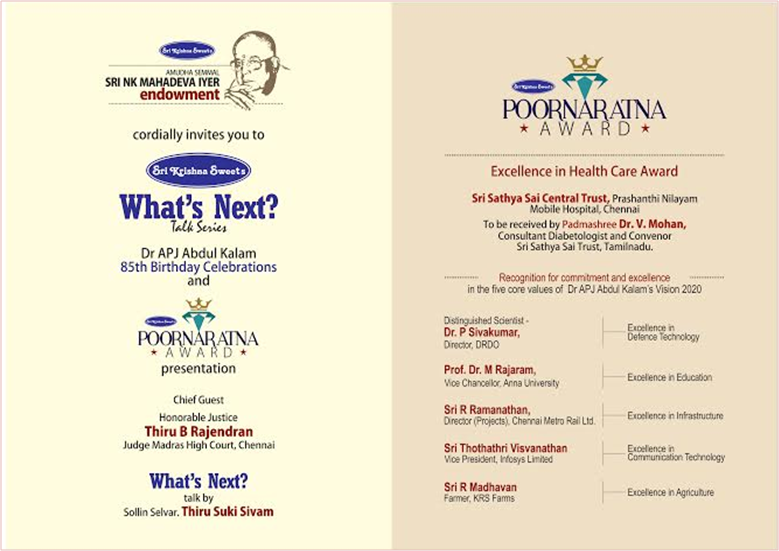 It is a proud and happiest news to mention that our Sri Sathya Sai Mobile Hospital, Tamilnadu is presented with an ‘Excellence in Health Care Award’ of the Sri NK Mahadeva Iyer Endowment by Shri. B. Rajendran, Justice of Madras High Court, Chennai. 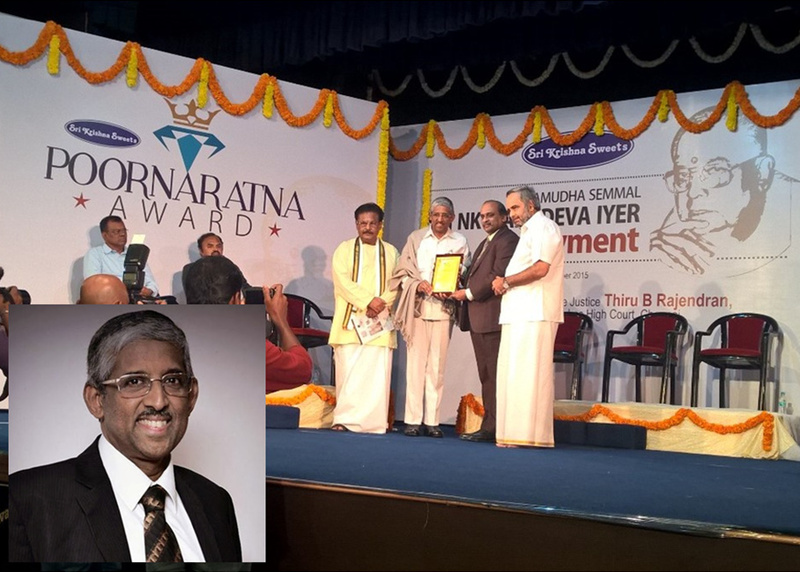 On behalf of Sri Sathya Sai Central Trust, Dr.V.Mohan, Convenor of Sri Sathya Sai Trust-Tamilnadu received the award on 15th October 2015 in a glittering function organised at Bharatiya Vidya Bhavan, Chennai. We humbly place this award at the divine lotus of feet of our beloved Bhagawan who always remain as our source of inspiration, guidance, strength and love.